Babywearing is the practice of carrying your baby in carrier or piece of cloth. Babywearing has been practiced traditionally for centuries around the world and has gained popularity as research develops showing the benefits past practicality. Carrying a baby in a carrier is a tool to that can be helpful through many stages in parenthood. Allow me to assist you in finding the perfect carrier for your family or to achieve the perfect fit with your current carrier. 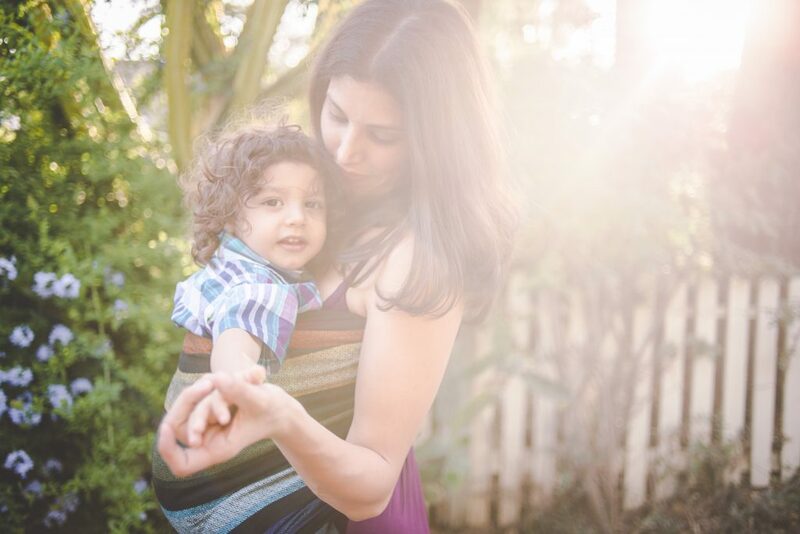 Babywearing Consultations are appropriate in both the Prenatal and Postpartum stages! If you need help deciding which carrier to buy, want to learn how to use your current carrier, or need to learn a new skill (IE -breastfeeding in a carrier) you will benefit from a consultation! Before your appointment, we will narrow down your topics of interest to create a specially tailored class. In your private session, we will focus on exactly what you need. A consultation is useful for caregivers with any level of experience (even no experience) and can be done prenatally or after baby arrives. Babies of any age are welcome to attend your session, but not required! You do not need to have a carrier to book a consultation. If you need help with your current carrier (Discomfort, Proper Use, basic tips) you will benefit from a Fit Check. These shorter visits are designed to focus on one carrier that you already own. We will make sure that you are using your carrier properly and know how all of the features work. I will also offer any tips to make it more comfortable. Arcadia, Covina, Claremont, Eagle Rock, Glendora, La Cañada Flintridge, Monrovia, Pasadena, San Dimas, San Marino, Sierra Madre, Walnut, West Covina, and other cities in Los Angeles & Orange Counties. If you do not see your city listed here please contact me to make arrangements.